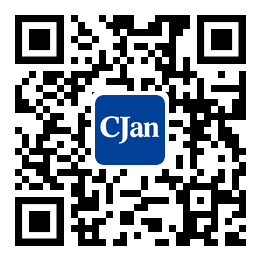 ﻿ The Rapid Development of Stainless Steel Pipe Fittings Market - CJan Fluid Technology Co., Ltd. The application of stainless steel pipe fittings will increase year by year. With the rapid development of China's stainless steel pipe market, the application and development of related core production technologies will be the focus of industry enterprises. According to available information, there are about 3000 stainless steel pipe fittings and valve manufacturing enterprises in the country, ranking the first in the world. But they are mostly low level, small scale, the cottage industry enterprises. The number of enterprises with annual sales revenue of 5 million yuan is less than 500. There are only a dozen enterprises whose annual sales revenue is over 100 million yuan a year. The sum market share of top 10 enterprises is only 8% ～ 9%. Because of the low industrial concentration, the enterprises always have low technology, compete on low price and lack of influential brands. These negative factors lead to a consequence: there is no real famous brand in such a huge Chinese pipe pump valve market . Thin-walled stainless steel water hose is the best material for water preparation, storage, conveying, purification, regeneration and desalination. China will accelerate the urbanization process, and develop the west and the state-led residential construction projects, they will drive the growth of the demand of the stainless steel industry. Our country started using thin wall stainless water hose in 2000, and the industry standard was released in 2001. It did not promote the large-scale use in the beginning. But in recent years, with the enhancement of environmental awareness, thin-walled stainless steel water hose gets more and more attention for its safety, health, environmental protection, and economical advantages. Now there are professional manufacturers in Beijing, jiangsu, guangdong and other places, and thin-walled stainless steel water hose is applied to the potable water system, hot water system and heating system.